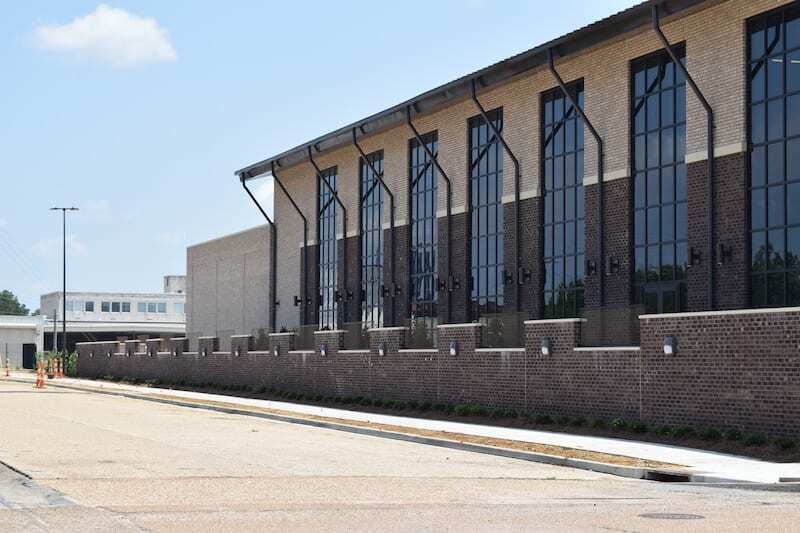 JACKSON, Mississippi–In time for the height of hurricane season, Entergy Mississippi has opened its $20-million South Street building. The renovated property houses its high-tech, high-security electric distribution operations center. This marks a significant milestone in the company’s effort to modernize the grid and build the utility of the future. The 35,000-square-foot DOC manages thousands of miles of electric lines that serve more than 449,000 Mississippians. The state-of-the-art facility is the ‘brain’ of the electric grid. The two-story building has redundant data and power feeds to further enhance Entergy’s disaster resiliency. The DOC can shift operations to its sister companies if the company needs support after a major storm or other natural disaster. Operators’ desks light up in various colors, visually alerting operators to emergencies or high priorities. Desks raise or lower automatically–a handy ergonomic feature for employees who work 12-hour shifts. A training room includes a simulator that can mimic real life storm scenarios. The building also houses the company’s war room, which is a command center for major restoration efforts. Other departments in the building include customer service, safety, engineering and more. Located in downtown Jackson, the investment underscores the company’s commitment to the capital city. Entergy bought the property in the 1980s from Irby Co. When considering options for replacing the old DOC on Tombigbee Street, the company committed to the South Street property’s renovation. Originally built as a warehouse, the new building still has some of the original architectural features. It houses some 74 employees and can house 150 workers supporting a major storm restoration.